『순천 초연정 원림』은 “초연정 정자와 정자 주변의 외원(外苑)을 함께 일컫는 것으로, “초연정”은 순조9년(1809년) 조진충이 중창하여 옥천조씨의 제각으로 사용하던 것을 이후 조진충의 아들인 조재호가 1880년에 중건하였으며 고종 25년(1888년) 송병선이 ‘초연정’이라 개칭한 정자이다. 왕대마을 모후산의 자연 계곡을 외원(外苑)으로 삼고 있는 초연정은 우리나라 정자가 대부분 풍경이 수려한 강변이나 구릉에 건축하여 확 트인 경관을 감상하는 게 목적인데 반해 마을 뒷산의 깊은 자연계곡을 이용하여 지어져 있어 매우 드문 예의 정자라 할 수 있다. 특히 초연정에서는 나무에 가려 계곡은 보이지 않으며 맑은 물소리만 들리는 것이 매우 특이하다. 초연정 앞의 모후산 자연계곡은 유량은 많지 않으나 물이 맑고 인적이 드물어 주변의 아름다운 암반과 암벽, 암벽에 부착해 자라는 활엽수(개서어나무 등)들이 어우러져 독특한 자연미를 보여주며 자연환경이 비교적 잘 보존되어 있다. 초연정과 초연정 앞 외원은 산간 계곡을 이용하여 지어진 특이한 예의 별서로 전통적인 모습을 잘 간직하고 있어 조경사적 가치가 클 뿐만 아니라, 주변 자연 경관이 아름답고 보존이 잘 되어 있어 경관적 가치가 큰 명승지이다. An ancient pavilion in a valley of Mohusan Mountain at the back of Wangdae Village in Suncheon, Choyeonjeong Pavilion is said to have been built in the late 18th century. It was rebuilt by Jo Jin-chung in 1809, the ninth year of the reign of King Sunjo of the Joseon Dynasty, to be used as a shrine for ancestral rites. 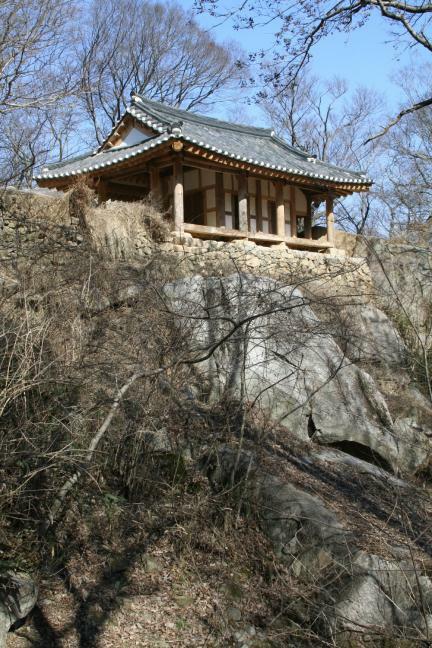 His son, Jo Jae-ho, repaired the pavilion in 1880. Song Byeong-seon named it Choyeonjeong in 1888, the 25th year of the reign of King Gojong. 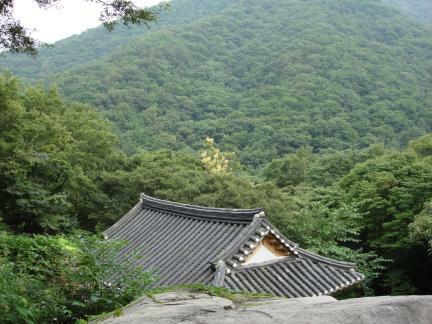 While most other ancient Korean pavilions were designed to enable one to look at the surrounding scenery from a hilltop or a scenic riverside, Choyeonjeong Pavilion sits on a high rock floor in a deep mountain valley at the back of a village. Thick trees block the valley from view; only the sound of a clear stream flowing below is heard. 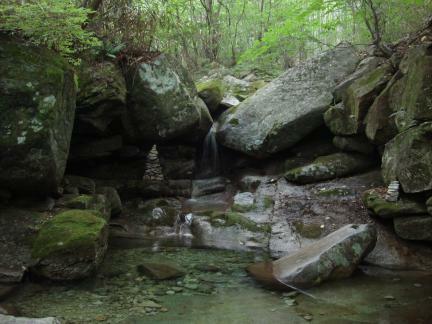 A clean stream runs through the valley in front of the pavilion, though the water is not abundant. It creates beautiful scenery in harmony with the rock beds and rock walls, with broad-leaved trees such as hornbeams growing along the rock walls. With few visitors to the area, the natural environment is kept relatively intact. Choyeonjeong Pavilion is an outstanding example of a country house utilizing its natural surroundings as a wooded garden, a valuable legacy of traditional Korean landscape architecture that valued the aesthetics of the natural environment.